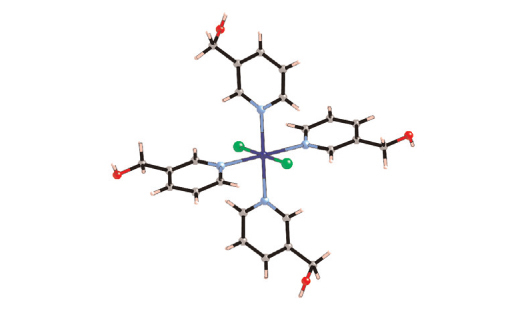 Three new crystal forms of a mononuclear cobalt(II) chloride with 3-pyridinemethanol (3PM), CoCl2(3PM)4, have been prepared: triclinic (P1̄) and monoclinic (P21/c) polymorphs and its dihydrate which crystallises in the triclinic P1̄ space group. The three crystal forms differ by the orientation of 3PM ligands in the mononuclear entities and consequently in their packing arrangements. All three forms crystallise concomitantly. Their crystal structures have been determined at 150K.